Firstly two cloud customers(Alex Lee and Westmont Hotels) talking about their experiences implementing cloud financials. Sacha Agostini Oracle Functional Consultant at Vigilant Technologies, LLC. Next some AGIS, Legal Entity and related topics on E-Business suite. In these areas that have been out for some time, I generally learn something about innovative uses of the products. Our partners and customers are very smart. Intracompany, Intercompany, AGIS – Unraveling the Mysteries! Mohan Iyer Practice Director at Jade Global, Inc.
FAHRCS (pronounced farks) is the de facto acronym for the officially titled Accounting Hub Reporting Cloud Service. It Stands for Fusion Accounting Hub Reporting Cloud Service, which is quite difficult to say. I have got pretty good at saying F.A.H.R.C.S quickly, but I think “farks” is probably the easiest. If you are wondering what FAHRCS actually is, you can follow @FAHRCS on twitter, or check out https://cloud.oracle.com/en_US/accounting-hub-reporting-cloud for official documentation. I’ll be presenting about it at the Higher Education User Group Conference, Alliance16 in March and again at OAUG Collaborate16 in April. So I hope to see you there and help you learn more about FAHRCS. Author David HaimesPosted on February 28, 2016 September 2, 2016 Categories Fusion, IntercompanyTags cloud, cloud erp, GL, Oracle Applications, Oracle ERPLeave a comment on What is FAHRCS? As I was planning my agenda for the Collaborate 14 (#C14LV) conference next week, I noticed a lot of sessions on Fusion Accounting Hub. 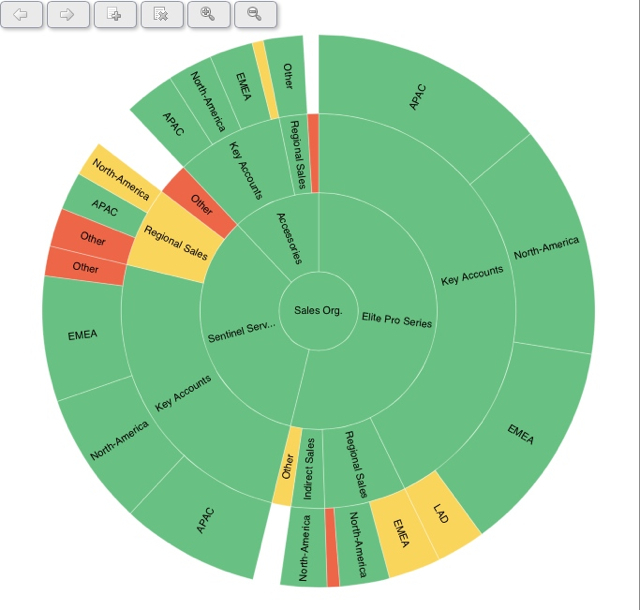 In my earlier post defining Fusion Accounting Hub (FAH) I introduced this idea of a reporting platform, it is a compelling reporting and consolidation solution and as such is gaining a a lot of attention, particularly when Coexisting with Ebusiness Suite, Peoplesoft or JD Edwards ERP systems. I will be presenting Monday at Collaborate on Fusion Accounting Hub coexisting with E business Suite R12 and how it was used to implement a global chart of accounts. The multinational SIG has a series on reporting and there are several other sessions from various customers and partners on Fusion Accounting Hub and Coexistence. I’m listing them below so you can plan accordingly, I will be at most of these, look forward to seeing you there too. Abstract: Oracle’s Fusion Application provides organizations with the option of next generation of enterprise applications which can optimize their business user experience and productivity. With Fusion Applications, organizations now also have a choice to coexist with their existing IT investments. This session will focus on the Fusion Application Coexistence strategy with the use of Fusion Accounting Hub and show case a few case studies of how fusion accounting hub was used to integrate EBS, PeopleSoft and JD Edwards. Abstract: Hear how Oracle implemented Fusion Accounting Hub Coexisting with it’s R12 EBS Financials and transitioned to a new single Global Chart of Accounts in less than a year. You will learn the principles and process used to determine and reach agreement on the new chart of accounts as well as how the final result looks. In addition you will learn how over 100 ledgers are consolidated in Fusion Accounting Hub and the time to close reduced. We will discuss the best practice recommendations for Fusion Accounting Hub. Abstract: Get up and running on Fusion Financials at the speed of Cloud using the Fusion Financials Implementation tools. Upload tools allow you to upload repetitive type entries directly from Excel to Fusion Financials Cloud, such as the chart of accounts. The Functional Setup Manager guides you through the essential steps to set up and configure your applications using the most common features and best practice considerations. Also discover how Oracle Fusion Accounting Hub address common problems such as integrating accounting from both Oracle and non-Oracle applications. All this will allow you to reap the benefits of Fusion on the Cloud or On Premise faster than ever before. Abstract: With the availability of E-Business Suite 12.1, 12.2, and Fusion, Oracle customers who are still on 11i have a whole host of choices to consider when migrating from their current 11i system. This presentation will outline both the benefits and risks in upgrading/implementing all three ERP systems and how you can develop a business case and migration strategy based on this knowledge. Fusion co-existence will also be discussed and considered within this roadmap. Abstract: We need to do better! Global ERP implementations rarely have provided the expected business benefits and never seem completed. We need more flexibility, nimbleness, and adaptability to change:prepare for co-existence of systems, not just replacement. At the same time we need to promote multi-country compliance solutions and parallel multi-country integration.Rigorous focus on data validation, global process standards, and minimizing applications diversity are other corner stones. We will have a spirited discussion. Abstract: If you have many third party systems that require specific accounting rules and have built individual integrations into Oracle’s PeopleSoft Financials, then this session is for you. Let us show you how Oracle’s Fusion Accounting Hub can streamline the maintenance and creation of accounting from the many feeder systems. This session will also deep dive into the integration built between the accounting creation of the hub into PeopleSoft General Ledger. We will show you how you can use the power of PeopleSoft and the power of the Fusion Accounting Hub to reduce costs, maintain higher levels of controls and auditability. Fusion Accounting Hub: How to Maximize Your Existing Investment in Oracle Apps Unlimited Products? Abstract: Fusion Accounting Hub (FAH), provides a complete set of accounting tools. The product supports all financial management and analytical reporting needs. There are various approaches to adopting FAH in co-existence with various systems. Oracle has provided pre-built integrators using GoldenGate from EBS and via ODI from PeopleSoft to integrate to FAH. Non-Oracle sources can also be integrated. FAH offers the product’s full reporting, catalytic, drill down and integration capabilities to AU customers. Abstract: This presentation will provide an overview of Fusion Financials. We will review the new functionality that exists in Fusion Financials and compare it to E-Business Suite. We will also review the implementation options and compare a new Financial Implementation with a Coexistence model alongside E-Business Suite. 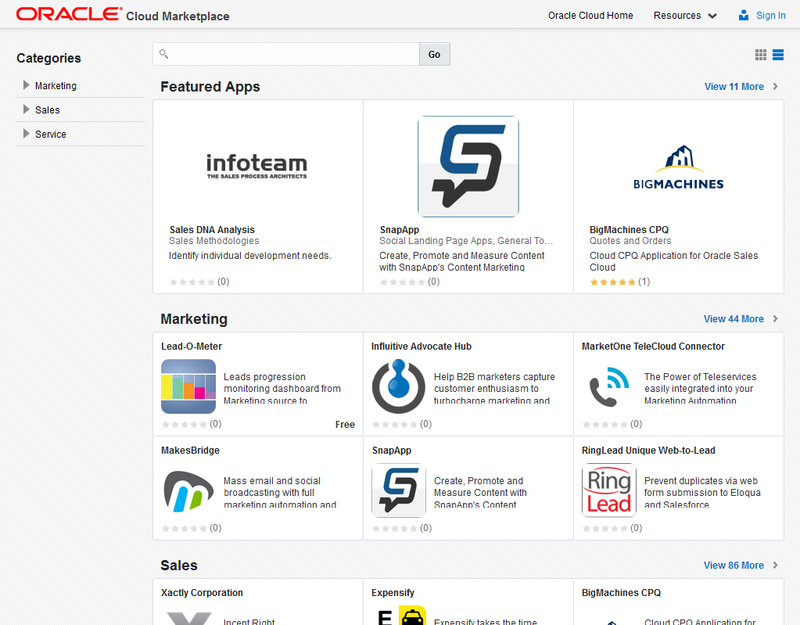 If you are an Oracle Cloud customer or a partner, or are considering becoming one, or if you are just interested, you should check out the Oracle Cloud Marketplace. It follows the type App Store type model that you are probably familiar with, but this is for cloud based enterprise apps. I am always inspired by the innovation that comes from the Oracle partners, it drives me to try and keep innovating in the products Oracle produces and that is how the ecosystem should work. I see a lot of content on their already and I plan to try out some of the free apps over the next days and weeks, maybe I will do reviews of anything I find particularly interesting. However you shouldn’t wait for my reviews, get over there now and check out the content, post in the comments to discuss what you find.